Amy Poehler's Smart Girls Interview with Michole Biancosino "All Women All Theatre All the Time"
Michole Biancosino is an outside-the-box theatre director, writer, producer and performer working in New York City, Vermont, and internationally. Michole specializes in creating and directing new plays in many forms. She enjoys the process of developing a script with the playwright. She is a prolific writer and co-creator of several shows that have gone on to play internationally and tour nationally. She also creates theme-based works in the form of devised docu-theatre with large groups of people. She is a co-founding Artistic Director of Project Y Theatre Company, where she recently directed the critically acclaimed World Premiere “Trump Lear,” co-created by David Carl and Michole Biancosino, and running for over a year at the iconic Under St. Marks Theatre in NYC before embarking on a completely SOLD OUT run at The Pleasance as part of the Edinburgh Fringe. She has directed the World and NY Premieres of several plays including "CONNECTED," by Lia Romeo, at 59E59 Theaters, nominated for 4 NYIT Awards including Outstanding Full Length Script, Outstanding Ensemble, and Outstanding Overall Production, winner of 1 NYIT Award for Supporting Actress, Midori Francis. Michole also co-created and directed of the hit show, "David Carl's Celebrity One-Man Hamlet" which won the NYFringe Outstanding Solo Performance Award, before touring extensively throughout the United States including Chicago Shakespeare Theatre, NYC's Baruch Performing Arts Center, and Kitchen Dog Theatre in Texas, and received 5 star reviews at Edinburgh Fringe (Underbelly) and a rave from the New York Times. "Show Up!" and “Show Up KIDS!” by Peter Michael Marino playing at venues in NYC and abroad. She developed and directed multiple shows with Emmy Award winner, Addie Walsh including "That's All I Got" winner of "Best Variety Show" UnitedSOLO Festival. Michole directed the movie version of the same show, which can be viewed here: That's All I Got. Michole premiered her own solo show, “Witch Hunting” at Dixon Place in 2018. 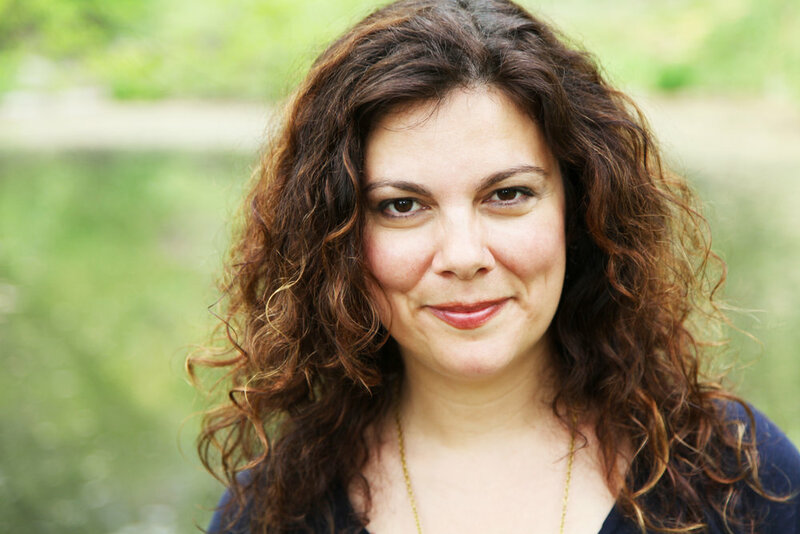 She conceived and directed the World Premiere musical "LoveSick or THINGS THAT DON’T HAPPEN," plays by Lia Romeo, songs by Tony Biancosino, at 59E59 Theaters, nominated for 3 NYIT Awards including Best Production of a Musical. Her production of Samuel Brett Williams "The Revival" at TheatreRow on 42nd street garnered 7 NYIT Award nominations including Best Director and Best Overall Production, and won for Outstanding Set Design and Featured Actor. She directed the World Premiere of Lee Blessing's"A User's Guide to Hell, featuring Bernard Madoff" at Atlantic Stage 2. Script available at Dramatists Play Service. For 2 years, Michole worked with NYC Department of Aging through their SPARC artist residency program. During her residencies she created various theatre/video projects with large groups of seniors in Bensonhurst and Park Slope Brooklyn. You can view one short video: "The Center." Michole has collaborated with hundreds of playwrights including Sean Christopher Lewis’ "Goodness" at Under St. Marks and Johnna Adams’ "Gidion’s Knot" with the New York New Playwright Festival. With Project Y she has also directed David Rabe’s "In the Boom Boom Room," Judith Thompson’s "The Crackwalker," "White Biting Dog," and "Lion in the Streets," "One Flea Spare" by Naomi Wallace, "Zastrozzi" by George Walker, in Washington, D.C., and the world premiere of "Either/Or" by Dan O’Brien at NYFringe. She produces a bi-monthly new play reading series at various bars, cafes, and theatres throughout NYC, featuring the work of up and coming American playwrights. She also produces Project Y’s annual video monologue series. As a founder of the New Orleans Theatre Experiment, she produced and directed at the Fine Arts Center, as well as her own one woman show, "ThereseRaquinDesire" (NOLA Fringe/Marigny Theatre). Michole is the Founder and Producer of the Women in Theatre Festival, a month-long festival showcasing the work of women writers including commissioned plays, solo shows, readings, and works by female-led companies. She has served on the Faculty at Rutgers University Mason Gross School of the Arts, New York Film Academy, and Middlebury College, where she is currently an Assistant Professor of Theatre. She has been a Guest Artist at various colleges including Hunter College's MFA Playwright program under Tina Howe. Michole is a recipient of the prestigious S.D.C.F. Gielgud Fellowship for Directing. Her works has garnered grants from NYSCA, NYC Department of Cultural Affairs, and the Puffin Foundation. She holds a B.A. from Middlebury College and an M.F.A. in Directing from Rutgers University.